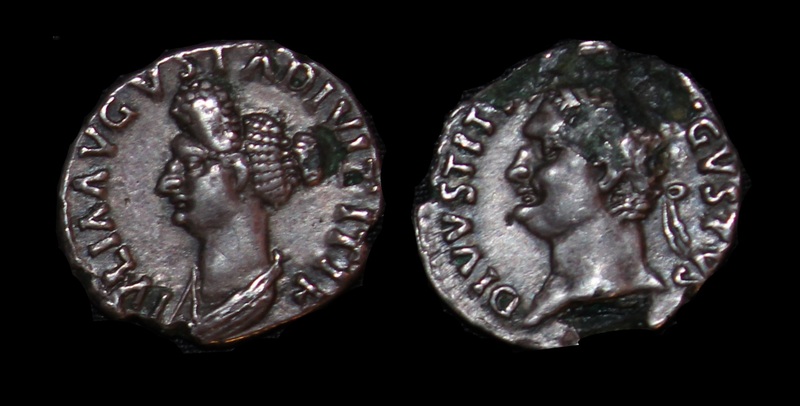 Julia Titi was the daughter of Titus by his second wife Marcia Furnilla. She was married to her cousin Flavius Sabinus who was later executed in 84 AD on the orders of her uncle Domitian. 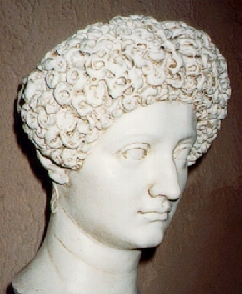 Domitian was married to Domitia Longina who divorced her husband to marry Domitian. It is said that she was sent into exile in 83 AD for adultery with an actor named Paris who was put to death on the public streets of Rome. 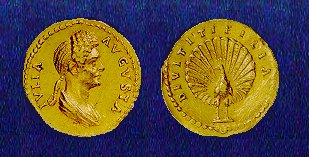 Domitian then became quite infatuated with Julia Titi who, following her husband’s execution, moved into the palace to live with her uncle as his wife. Julia became pregnant by Domitian in 91 AD. This was not something which pleased Domitian at all and Julia was forced to have an abortion. Julia suffered complication from her abortion and died shortly thereafter. 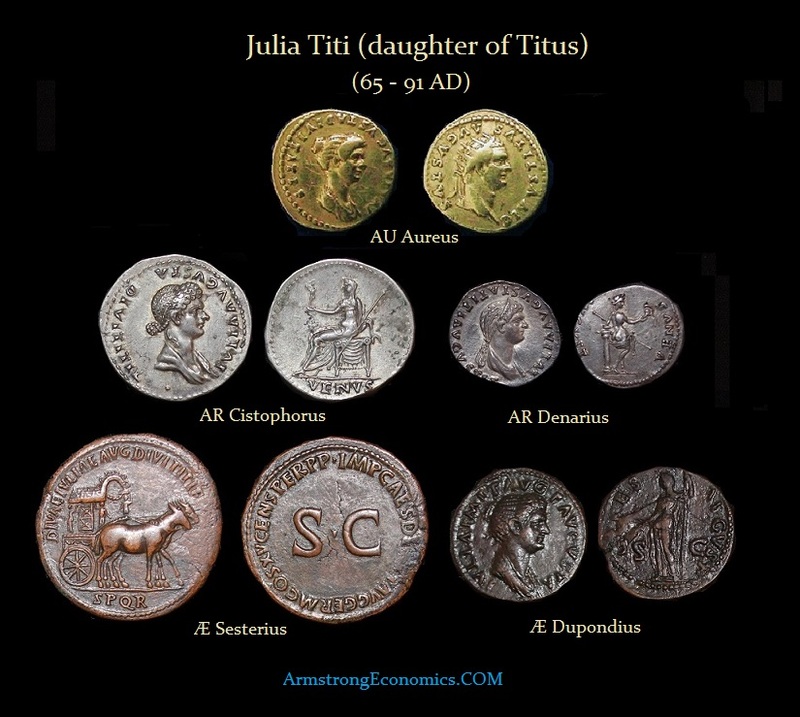 Julia was then deified and a subsequent series of coins were issued in gold, silver and bronze.